Grave robbing isn’t always about stealing artifacts or grave goods, nor is it just a thing of the past. A couple weeks ago, police discovered that the crypt of F.W. Murnau was being used for occult ceremonies. Wax drippings confirmed that the crypt was being used by the living, and the cemetery caretaker confirmed that it had been broken into a number of times over the past few decades. Breaking and entering wasn’t the only crime- police soon discovered that the skull of F.W. Murnau, as well as a number of other skeletal elements, had been taken. Why F.W. Murnau? 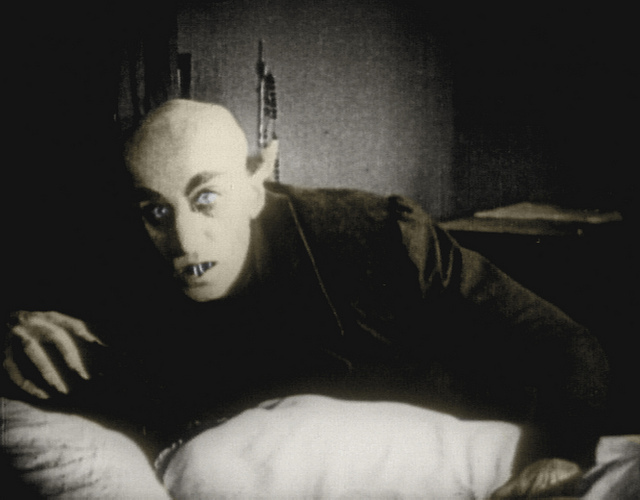 He was the legendary German artist who created “Nosferatu”, the first vampire film and horror movie that has set the template for many films today. The skull hasn’t been recovered, and no one knows exactly why these individuals selected Murnau as their target. This isn’t the only story of bones of the famous being taken as trophies, relics or memoirs. Bess Lovejoy’s Rest in Pieces contains dozens of stories of missing heads and other body parts taken from the famous dead, demonstrating that what happened to Murnau isn’t all that unusual (Check out the book here). What can you do to protect your mortal remains? How can you prevent your own skull from becoming part of an occult ceremony? Well, lucky for you I have a couple great solutions. During the 16th through 19th centuries in Europe, grave robbing was a major issue as medical schools and doctors clamored for more corpses to practice dissection on. One of the responses of this was the creation of cemetery guns. These are a type of gun known as a set-gun, which is mounted to a fence and fires when a wire is tripped. 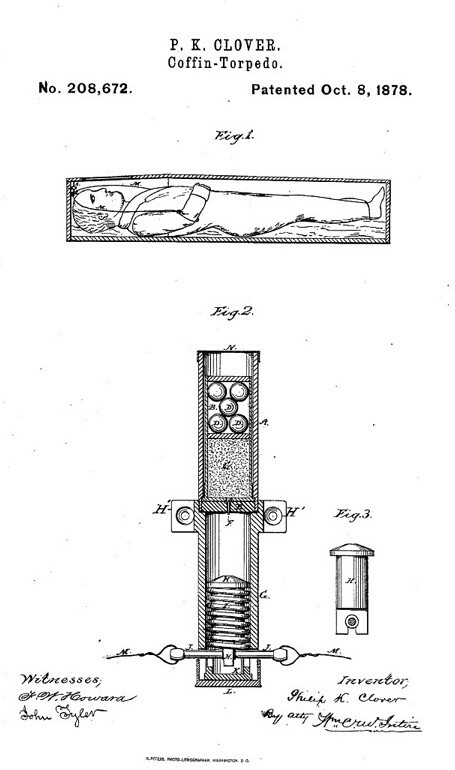 It was an easy solution for keeping out wild animals or grave robbers. A gun was loaded and primed, planted securely in the desired area, a wire was run along the space where the intruder might enter, and when they tripped over the wire the gun would fire. These guns were often mounted to blocks of wood so that they could be easily placed anywhere in the cemetery. Mourners and visitors to the cemeteries were well aware of these guns and wires, which were often disabled during the day. However, clever cemetery watchmen would move the guns at dusk to varying locations so that potential grave robbers would know where they were placed. If you’d like to see what they looked like, check out this example at the The Museum of Mourning Art at Arlington Cemetery. I’d like to have my body set up to catapult out of my coffin at someone if they tried to open it. The only downside is, I’d be dead, so I wouldn’t get to see the look on their faces as they crapped themselves and ran screaming from the cemetery. .
That’s so interesting, I didn’t realize how many varying methods there were to prevent grave robbing. Personally, if you’re digging up the remains of a dead person, then you deserve possible injury. So grateful to you, Katy, for all your insights and research which have become a good resource for some novels I’m writing about a former mortuary archaeologist…will be acknowledging you of course…more later. Thank you.